Why do people not do more to protect their own health? One of the problems with workplace health is that people are often their own worst enemies. 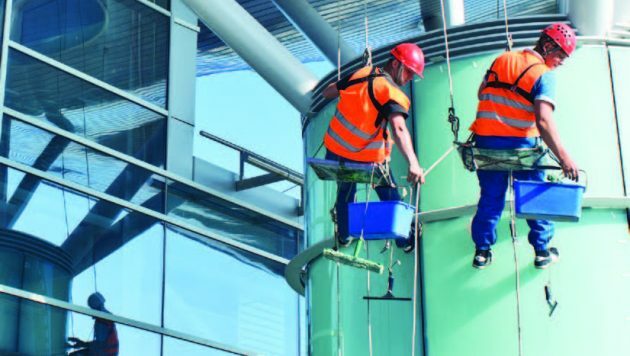 They dislike wearing personal protective equipment (PPE) and, even if compelled to do so by supervisors, will deliberately fail to secure harnesses properly or perch their hard hat in such a way that it is unlikely to stay on, let alone protect them if they move. It’s a bit like not wanting to be the ‘teacher’s pet’ at school and rebelling against rules and restrictions. Of course, not everyone is like this and many people do look after themselves and use PPE sensibly but I believe such behaviour is pretty widespread. So what can we do about it? I believe there is often a failure to communicate risk properly to people so that they can make informed judgements themselves. We are notoriously bad at understanding risk. Whenever there are rail or air crashes, lots of people switch to driving, which is significantly riskier, but allows an illusion of control if you are driving. We definitely need to find more effective ways of helping people understand and therefore manage their own risks. But there is a more systemic problem. Despite a plethora of standards, many people have problems when different items of PPE do not interact well and even conflict with each other. Examples include respirators which are difficult to wear with safety goggles and hard hats which make it difficult to wear ear defenders. The European Union has recognised this problem and has issued a mandate (Mandate/509) with the catchy title ‘Programming Mandate to CEN, CENELEC and ETSI on Protective Textiles and Personal Protective Clothing and Equipment’. One of the outcomes is that CEN (the European Standards body) has set up a new working group under its Ergonomics Committee (TC122) to create better standards specifically addressing the interactions between different types of PPE. This working group (TC122 WG14 will hold its first meeting in the Netherlands on 20-21 October and will start planning its activities. It will not solve the problem quickly (nothing in standards happens quickly!) but it is a good start to solving a longstanding problem helping people to protect themselves. If you want to know more or possibly get involved, you can contact the working group secretary in the first instance, Stephanie Jansen (stephanie.jansen@nen.nl) , or the Chair of the UK Ergonomics committee at BSI, Tom Stewart (tom@system-concepts.com).